This means use any of your old stamps. Perhaps one from when you first started stamping. The shoe stamps came along with a handbag and earrings. I can't remember where they are from. 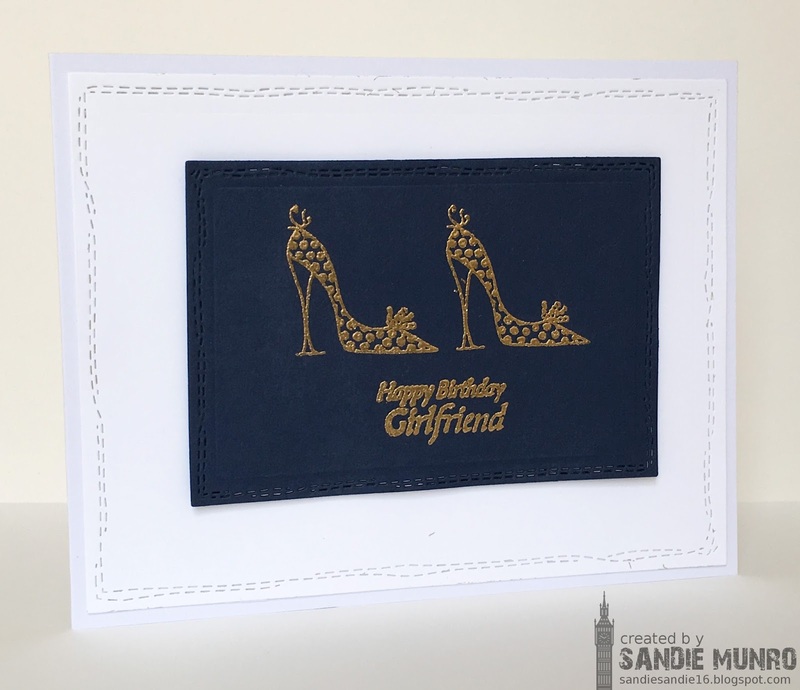 As it was Nonni's challenge and her favourite colour is blue, I went with navy card and embossed the shoes and sentiment in gold. 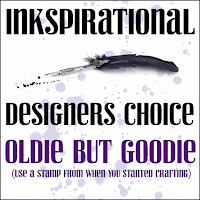 Our Guest Designer for this challenge is the very talented Shirley. Her blog is full of inspiring projects. Take a look here and feast your eyes! Our DT have all been dusting off their old stamps and creating. Take a look here and then have a hunt for those old stamps that need some love and join in with us. Very elegant and so stylish!! Lovely gold embossing , and the wonky stitched frames bring it up-to-date. Ahhh...gold shoes...perfection! Love how fun and style forward this card is! How fun to have and use one of your first stamp sets! I love that gold embossing on the dark background and the shoe is certainly sassy! I am sure Nonni was excited to get this one!